Happy Anniversary to My Ticker! My last open heart surgery was 28 years ago today: October 30, 1985. I woke up in ICU at Children’s National Medical Center to the nurses having a costume parade and my crazy aunt Peggy dressed as a dirty clothes basket with underwear on her head! Guess those are pretty good memories! 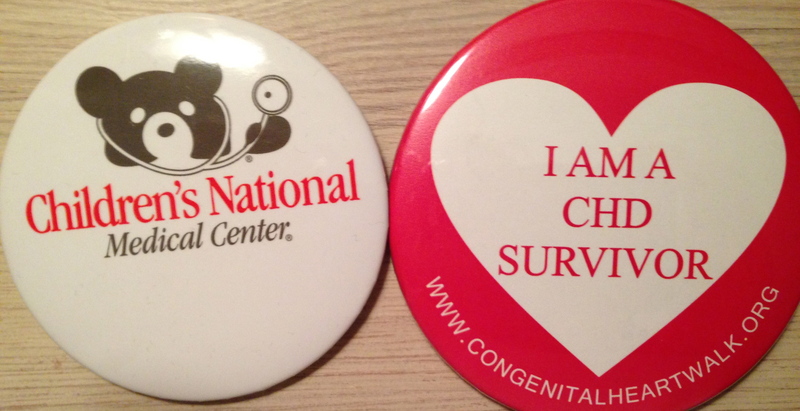 I must send a shout-out today to my favorite doctors and nurses, Dr. Midgley, my surgeon and Dr. Hepner, my pediatric cardiologist who followed my care in all of my early years. Today I wouldn’t be ticking (well, rhythmically) if it weren’t for Dr. Elizabeth Ross, Dr. Anitha John and Dr. Charlie Berul. I am forever grateful for their watchful eye and careful ear. I wouldn’t be here today if it were not for the love of family and friends. You all keep me going like the energizer bunny. Lots of love from the bottom of my heart & thank YOU for helping me still feel the love after all these years. Sunscreen has been stashed away. Leaves crunch beneath our feet. Boots and scarves are out and pumpkins and mums grace the stoops. Guess what? It’s fall after all! Hard to believe there are just 16 days until Halloween. That’s a little over two weeks! Got the costumes? Candy? Jack-o-Lanterns carved? This means there are just 44 days until Thanksgiving Day when family will come from far and wide or you’ll depart for a nice adventure over the river and through the woods! Need a ride to the airport? Want someone to bring in the mail or paper? Leave a few lights on? Take out the trash? Do More With LES is here for all of your holiday never-ending to-do list items! I will even help shop for groceries and gourmet pies, floral arrangements, that cracked dining room table you’ve been meaning to have fixed, whatever! No task too large or small, do not be afraid to ask. You’ll be thankful you did! Hang on, because in just over two months, we will be in the heart of the winter holiday season! Stress not – Do More with LES will help you mail merge those labels, fold, stuff, address, stamp and even mail the cards so they are received in time! I can even shop for gifts, wrap them, deliver locally or stand in line at the post office, UPS Store or the FedEx counter, too. Scribble down your to do list now, or just send me an email as soon as you think of something, anything… and I will help you & yours this holiday season. Don’t miss the 17th Annual Del Ray Halloween Parade at 2:00 p.m. on Sunday, October 27th starting at E. Bellefonte & Mount Vernon Avenues and continuing down to the Mt. Vernon Rec Center fields. Always fun to see the kids, strollers, dogs and parents, too, for this annual tradition! As for Thanksgiving morning, make plans to either run in (or watch & cheer on) the 38th Annual Turkey Trot – because, let’s admit it (you crazy runners!) there’s no better way to start Thanksgiving Day than by running five miles! Join me – Do More With LES became a Fan Club level sponsor – in cheering the runners on from Braddock & Commonwealth on Thanksgiving morning. Details & to register for, or to sign up to sponsor the Turkey Trot can be found here. December in Alexandria always begins beautifully with the Annual Scottish Christmas Walk in Old Town. In its 43rd year, this promises to be a festive parade with various bands, music, vehicles and special performers. Saturday, December 7th from 11 a.m. – 2 p.m. look for Do More With LES somewhere along the route on King Street from Union to Washington. Then, after the cards are received and gifts are opened it’ll be time to take the company out for the biggest party of the year – First Night Alexandria 2013 promises to be fun for the whole family & kids of all ages, yes, even the big kids, too! Alcohol free and family friendly with a firework finish, I highly recommend you make it to Alexandria for this fun New Year’s Eve and to ring in 2014! Badges are on sale now, click here for all the info & to buy yours today!